From the Baldwin County Courthouse, go east on Hancock St. and follow Highway 22 (Sparta Hwy) east for 2 miles. Turn left on Lake Laurel Rd. 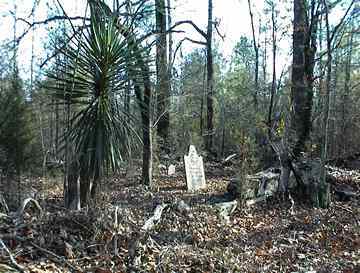 After 5.0 miles, turn left on Gumm Cemetery Rd. Go 2.1 miles. Turn left on North Ingram Rd (an unmarked dirt road) and go between 0.6 and 0.7 mile. 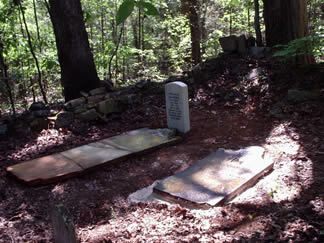 The cemetery is surrounded by decaying granite rocks and is 10 feet off on the left side of the road, in the woods. 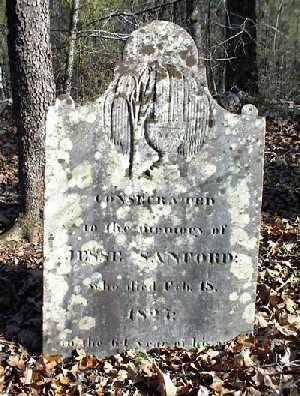 Markers are beautiful, large flat marble stones but not readily seen from the road. "Remains of". "Sen:" follows the name. m. Rachel Medford, per NSDAR Patriot Index. Only name appears on original marker. Died in the 64th year of his age. Possibly 2 or 3 more graves.